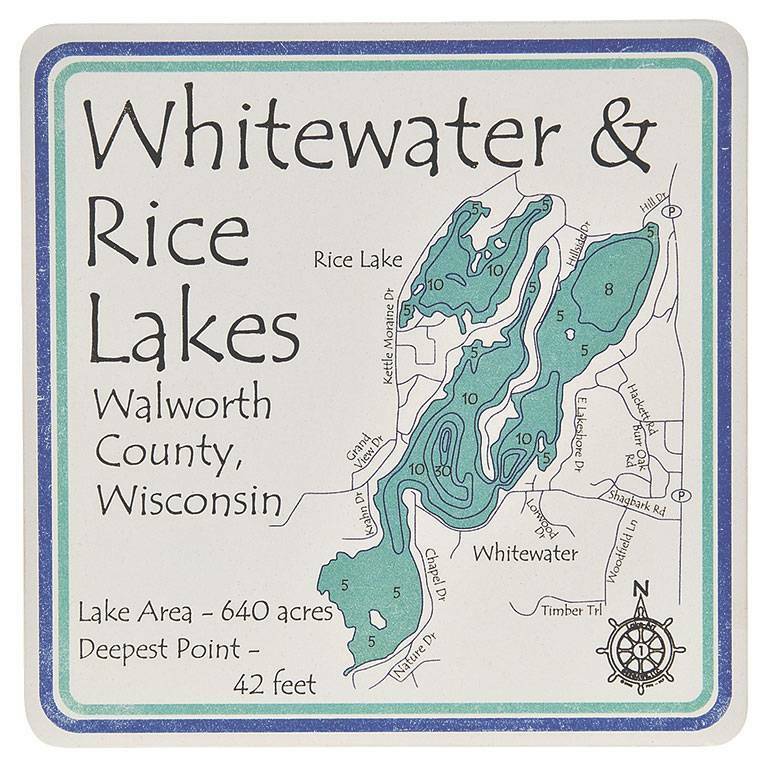 Our lovely Lake Coasters make a great thank you hostess gift for any riparian after spending a relaxing weekend at their lake house. There are two sets of four absorbent stone coasters (the manufacturer's minimum order is 8 pieces) so you have plenty of coasters for a party, or keep one set and gift another to a friend. 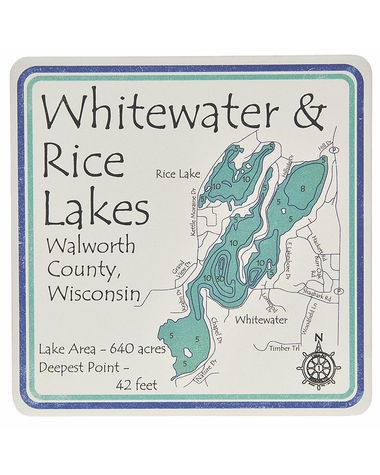 The coasters measure 4.25" square and comes printed with a beautiful depiction of your favorite waterway on top.